Jam Session Notes: Re-run of an earlier Jam Session (see original show notes for piano chords here). The above Jam Session has some Mixolydian parts, as well as some blues parts, which makes things kind of spacey. 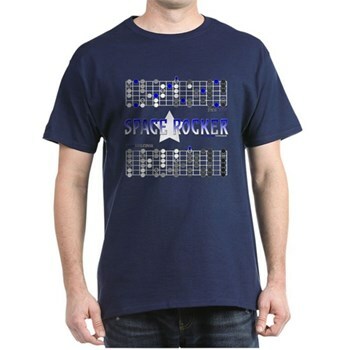 This Cheat Shirt (Space Rocker for right-handed guitars) tries to accomplish the same.